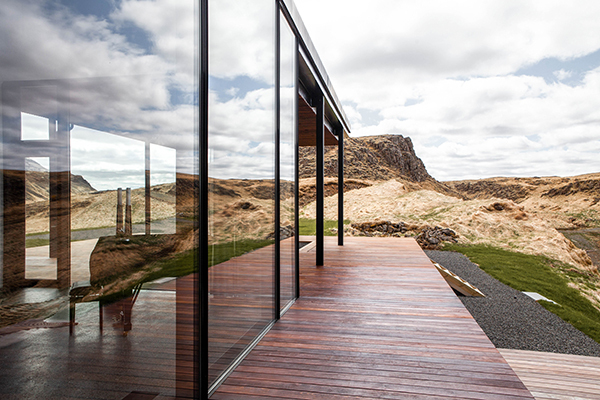 The summerhouse is located in southwest Iceland in picturesque surroundings with mountains on all sides. The building has a cross shaped plan that enables views 360 degrees. 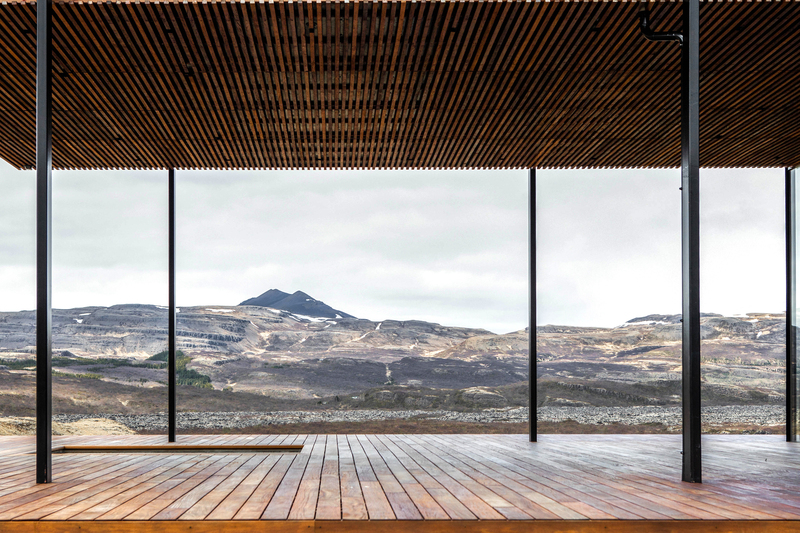 The terrace runs through the building, blurring the transition between inside and outside through the building’s large glass windows. The cross shaped plan also provides shelter from the wind and weather. 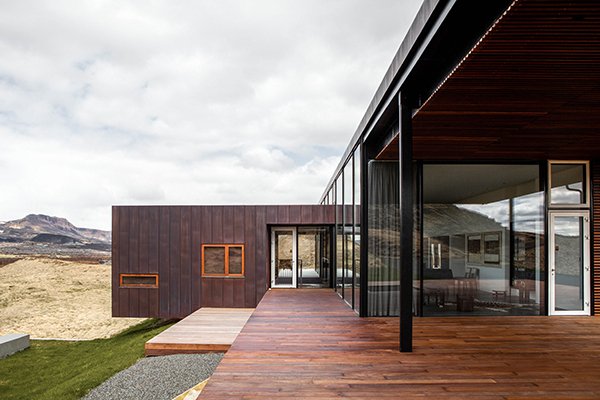 The building is clad in robust and lasting materials in earthy colours, copper and teak.